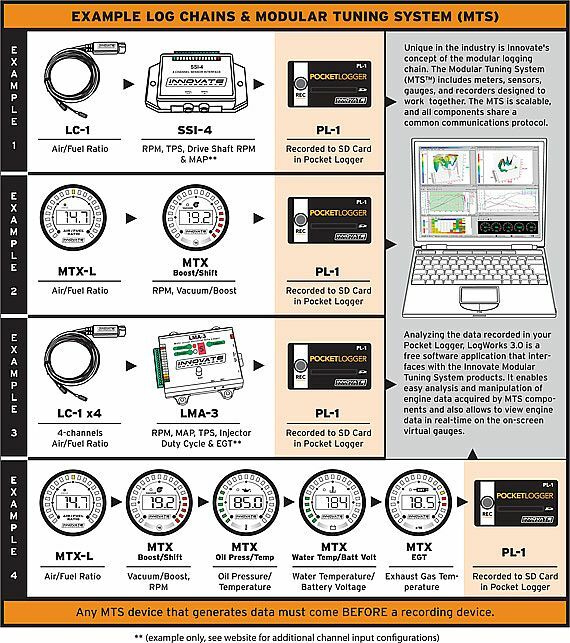 The PL-1 is the latest in Innovate Motorsports� line-up of products to allow for easy data logging of your MTS (Modular Tuning System) compatible product. 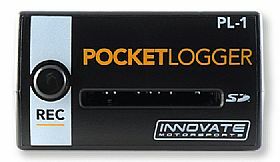 Whether you have an LC-2 & SSI-4, MTX gauges, or any other combination of Innovate Motorsports MTS devices, the PL-1 integrates seamlessly to record all the data from the connected devices. 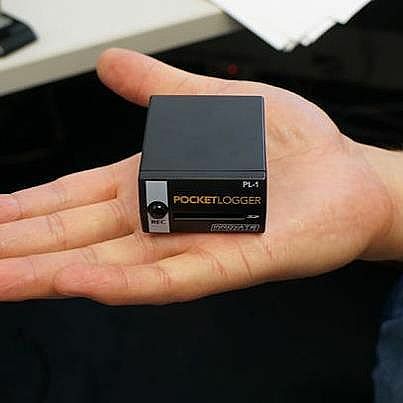 Log directly to SD card (included) 2GB SD = 580 hours of recording! 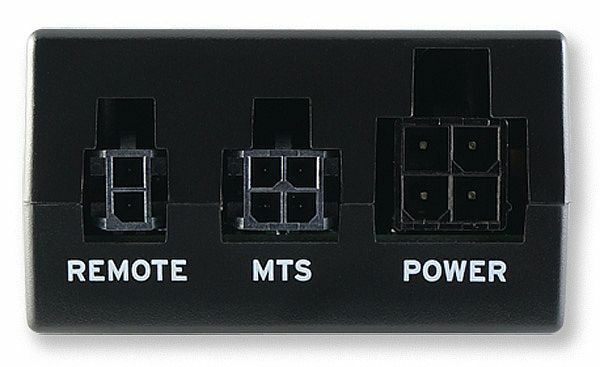 Dimensions 2.2" x 1" x 1.8"